What an awesome journey! We are loving parenthood with all the joys and challenges it brings, and we’ve had many of both. The joys are pretty obvious – nothing can compete with the love in our hearts, especially with all the smiles and coos she shares with us. The greatest challenge has been milk production. Since we weren’t sure I would even be able to nurse, we’re obviously thrilled that I can. However, it took quite awhile (six weeks) for my milk to truly come in and it took some time to figure out how much I was producing. With the help of an excellent lactation consultant and support of many momma friends, I have found the right balance of supplements needed to boost my supply (the best of the best being Fenugreek). And little miss is gaining the proper weight (but that took many weeks!). As a result, I haven’t been back to CrossFit as quickly as I wanted because I haven’t wanted to hurt my supply. For the early weeks, I was also nursing around the clock, so I was too depleted to even try to get in the box. Now add in the 115 degrees and, well, it’s honestly a challenge to motivate. 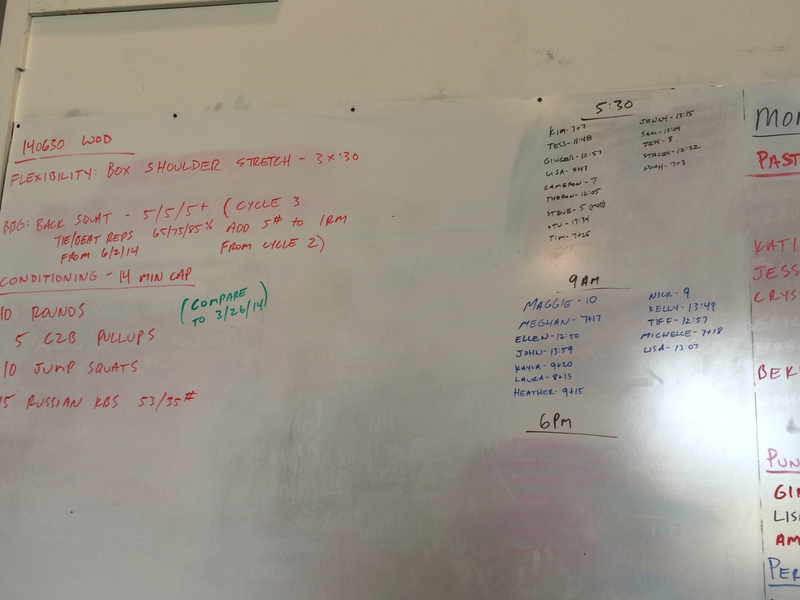 In the early weeks, I did do a few at home WODs, one of which left me injured, delaying my return. It seems as though my joints are more sensitive and I’m more likely to pull a muscle now that little miss isn’t around to hold me together. It’s what my doctor warned me of during my pregnancy, but since it never happened, I never thought it would happen postpartum. A week of ice, heat, Advil, and a trip to the chiropractor and I was healed. But it left me nervous to do too much. 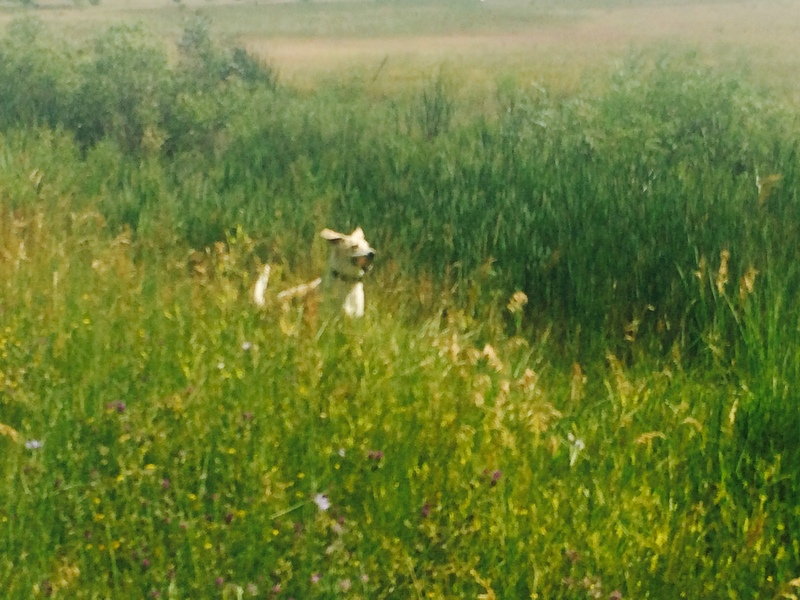 We also spent three weeks in the Midwest and Colorado. That time afforded me cooler temps to walk, run and squeeze in some WODs between visits with family and friends. 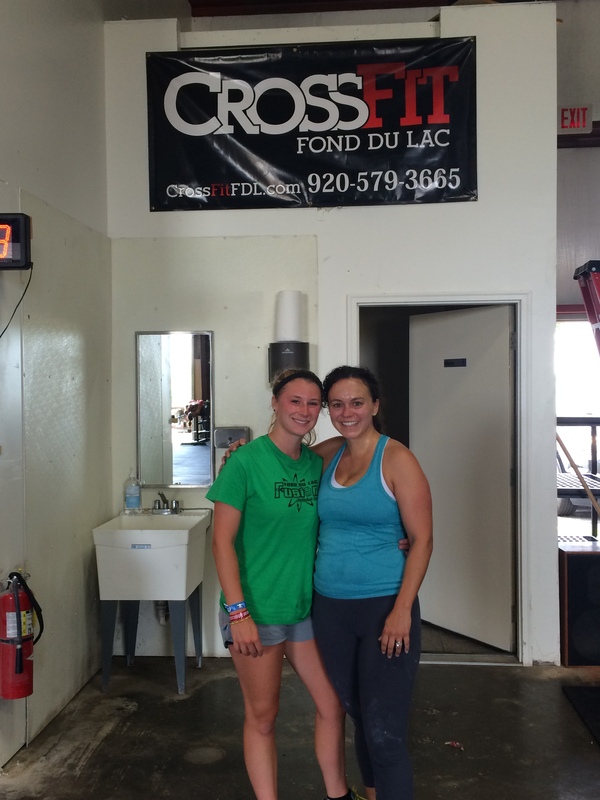 I visited CrossFit Fond du Lac with my cousin, Maggie, for a great workout. Definitely check out this box in you’re in the area. 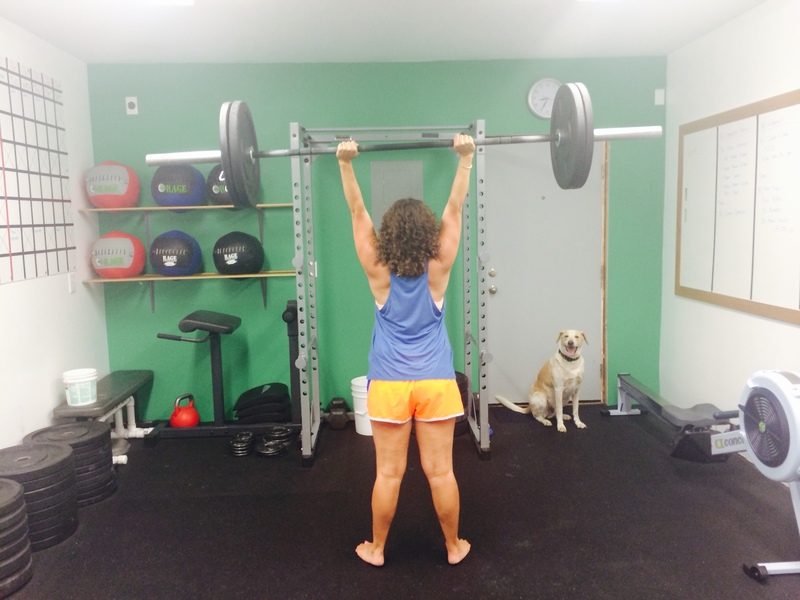 Nick is a great coach and was extremely sensitive to my injury and postpartum status. I was also able to fit in some lifting at CrossFit Beat, the newest box in South Boulder, Colo. Awesome garage set-up and fun atmosphere at the foot of the Flat Irons. Our friend Adam is a great guy and coach. Strongly recommend hitting it up when in Boulder. Now that we’re home, and I am feeling more confident in my ability to nurse, I’ll be getting back to Back Alley and hopefully some yoga. Can’t wait for the cooler temps to walk and run, too! Any postpartum tips or motivation you have to share? Posted on July 14, 2014 by crossfitpregs. This entry was posted in CrossFit and tagged breastfeeding, CrossFit, CrossFit Mom, CrossFitandPregnant, CrossFitting, Exercise Pregnancy, Fenugreek, Fit Pregnancy, lactation consultant, PostPartum, Supplements, WOD, yoga. Bookmark the permalink. Best post-partum advice I can offer is two-fold: this too shall pass, and each kid/pregnancy/recovery is different. Sounds like you’re listening to your body which is most important. Your little diva will require less attention soon enough and you’ll be recovered enough to get back at whatever makes you happiest. Keep it up! I don’t know if you would feel comfortable sharing but I also had a reduction (9 years ago). I am 10 weeks pregnant and hoping to be able to nurse. What resources have you found most helpful? I would love any information that you are willing to share! I am so glad I found your blog. I was new to crossfit when I found out I was pregnant so I have been nervous about going back (plus, soo tired) but I have missed it so I am going back this week. I appreciate all your insight. You can email me sheadjanderson@gmail.com if you prefer. Thank you in advance!